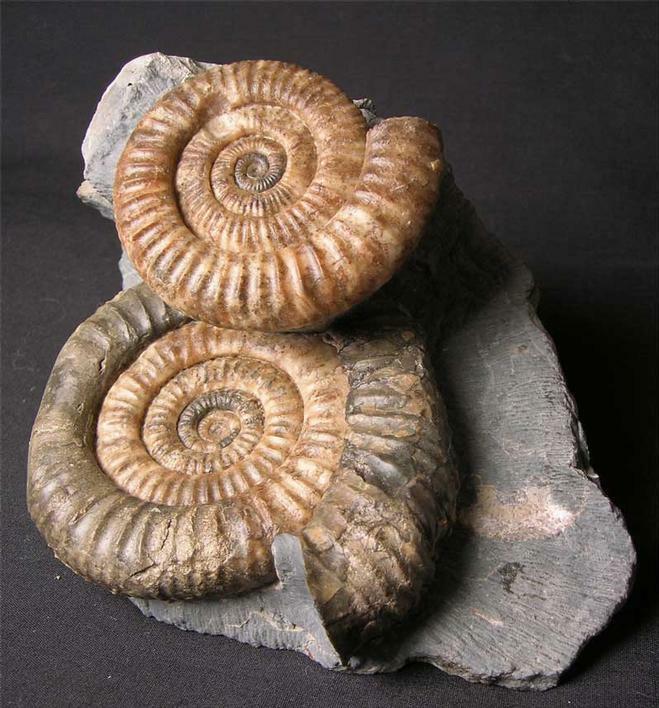 An extremely rare double Dactylioceras fossil from the shores of Skye. 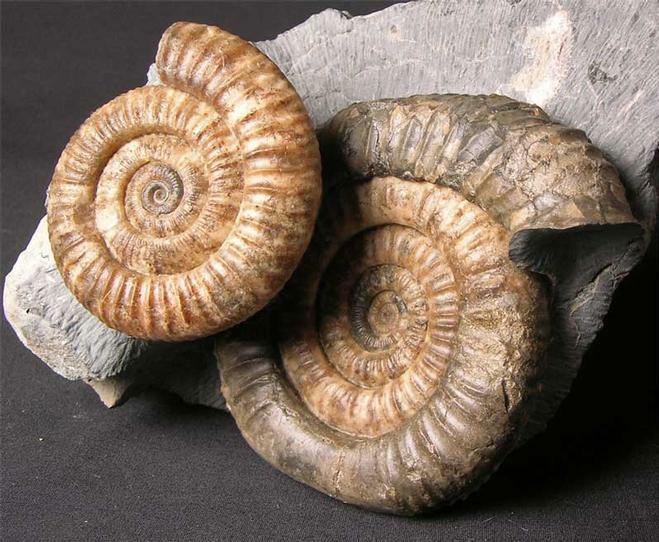 The large ammonite is pathological/sick. 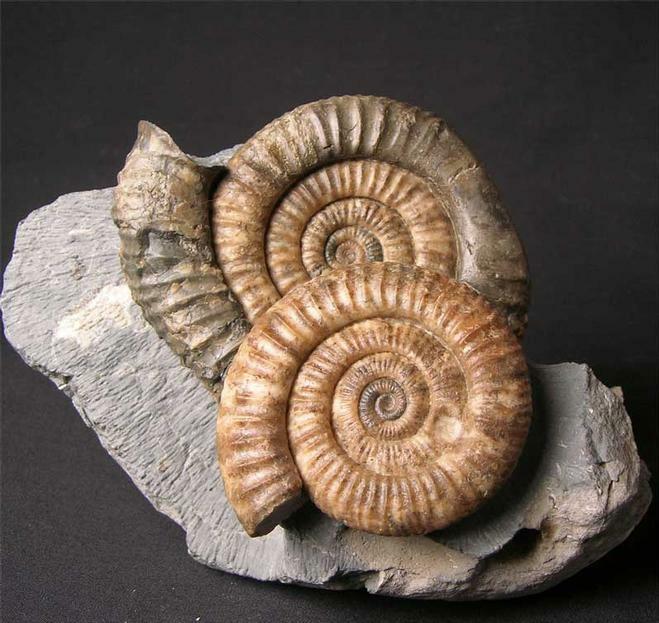 There is a smooth area on the outer whorl which is typical with the Whitby specimens which are pathological, this makes the fossil all the more important for the serious collector. 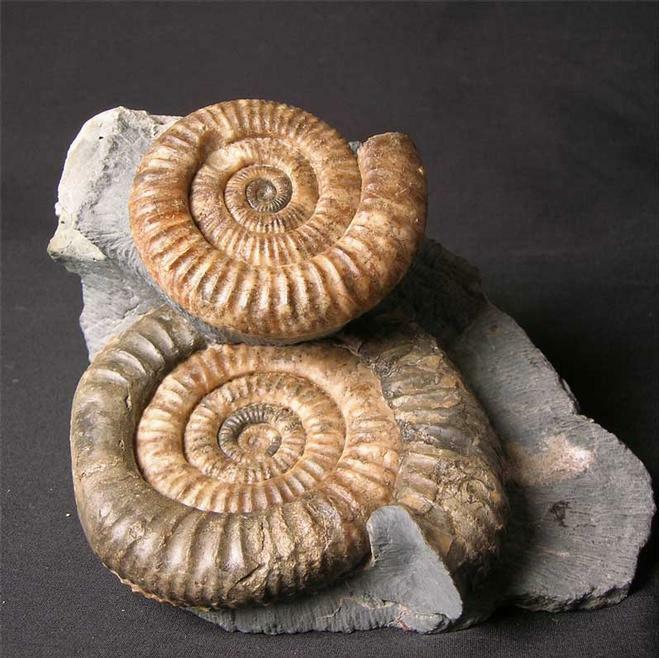 The larger of the two ammonites has a complete mouth border, this is the first time we have seen this feature in a Dactylioceras commune from Skye.This superb fossil was discovered by Andy Cowap some twenty years ago. Sadly there is very little erosion at Bearreraig and so these fine specimens are today incredibly rare to find. Approximately 180 million years old.